In preparation for your office move, it’s important that your employees are adequately prepared for their portion of the relocation process. They will need to pack all of the active files and documents necessary for supporting your organization’s daily business processes and operations. This may also include product and equipment manuals as well as their office and workstation supplies. They may also be required to pack departmental files, product manuals and personal items. 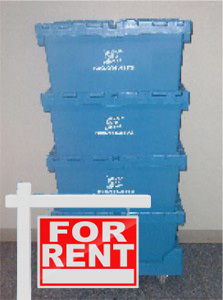 Michigan Office Movers’ crate rental service provides an easy, convenient solution for your office move. Prior to your move, Michigan Office Movers provides you with a site survey to determine the number of crates necessary for your move. Your crates will be delivered directly to your office by one of our relocation specialists. They arrive conveniently stacked on dollies to enable easy distribution amongst departments, floors and staff. We even provide your staff with optimized packing tips and methods. Your crates come with labels to provide easy identification of your office inventory. In order to protect files that may of a confidential and/or private nature we provide zip ties for additional security. This is especially beneficial to organizations requiring HIPAA compliance. Once you are finished with your crates, a Michigan Office Mover relocation specialist will remove them from your facility. To find out more information about our crate rental service or to schedule an on-site survey, please contact us by phone or fill in the form on the page.